This brandmark emphasizes on heritage which is ‘Warisan’, one of the brand essence. The thick heavy typeface are chosen to evoke the solemn respect to the legacy inherited from the people’s predecessor. 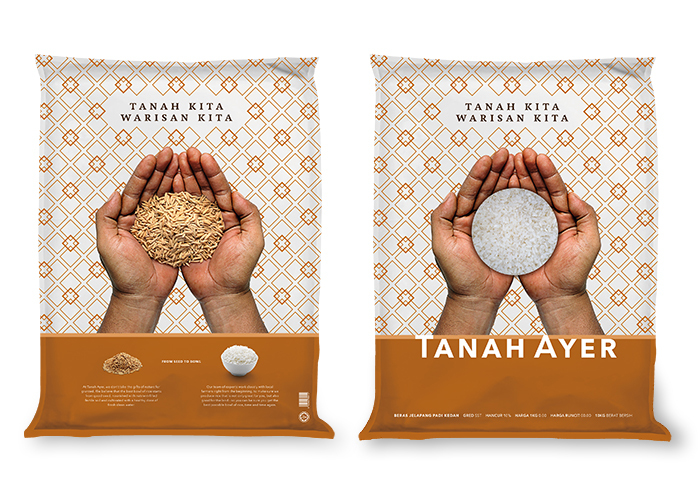 In another way the bold typeface look and feel resonates with maturity and wisdom that are related with another of the brand essence which are ‘Usang’ or aged. 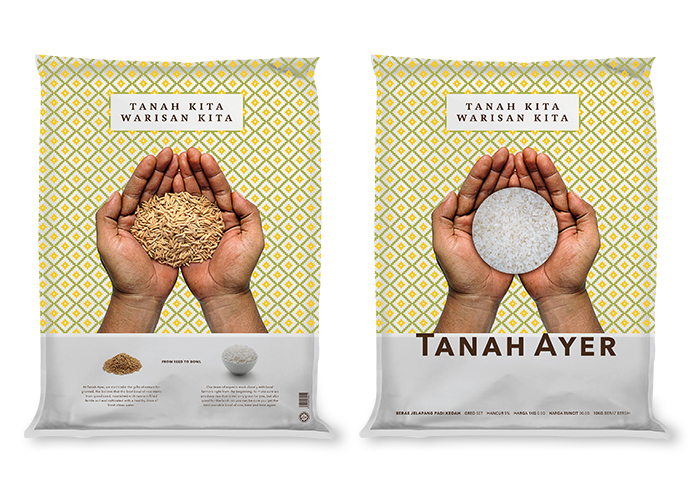 The packaging revolves around the concept of “From seed to bowl” which emphasizes on how Tanah Ayer is working closely with local farmers from the beginning till the end to produce the best rice for the people.